Teen Driving Safety - Ardent Solutions, Inc.
​for Your Teen Driver- You! 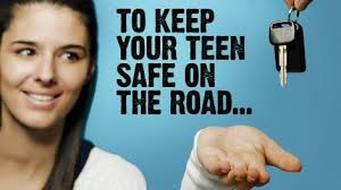 The National Safety Council reports that the first year of driving for teens is among the most exciting and dangerous. Car crashes are the number one killer of teens. With more than 12 young people losing their lives in car crashes each day—more than suicide and homicide combined—we are facing a national crisis. As their parents, we want to keep them safe—and we can, if we understand the risks teenagers face. We can help them beat the odds by staying involved as they gain experience over that first year, as they transition from a new to an experienced driver. Create your Parent-Teen Agreement by clicking here! During the learning phase, you are encouraged to supervise your teen's practice driving and provide important coaching and instruction. ​This program is made possible through funding from the Office of Community Services, U.S. Department of Health and Human Services; the division of Community Services, N.Y.S. Department of State; New York. Funding by the National Highway Traffic Safety Administration with a grant from the New York State Governor’s Traffic Safety Committee.